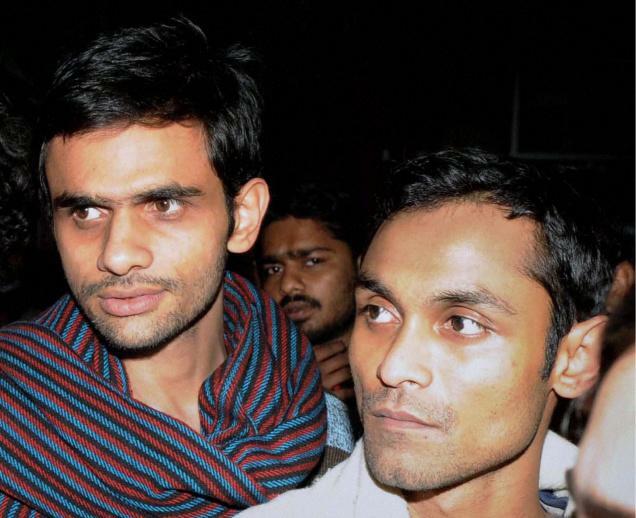 The bail finally granted to Jawaharlal Nehru University (JNU) students Umar Khalid and Anirban Bhattacharya is welcome. Despite the media gaze, it took almost a month for the students, who are accused of sedition on flimsy grounds, to be released. This showcases the nature of Indian Magistracy, and yet the repeated rejection of their bail plea would not shock anyone for whom the Indian judicial system is old hat. Curtailing arbitrary use and abuse of police detention powers may be the raison d'être of magistracy in a rule of law jurisdiction, but the Indian Magistracy does not bother about such trifles, operating as it does within a parallel universe, where the rule of law is an empty mantra. Bail, not jail, until absolutely necessary, to stop the accused from committing another offence, or tampering with evidence, or intimidating witnesses in the ongoing case, is a concept that may find favour and unanimity in an accountable and mature justice system. In India, where status is quo, the Magistracy is far more united in preserving impunity and non-transparency. Jail is the default factory setting, and the privilege of bail is granted to ensure some remain more equal than others. But, how could this be so? Lets track back. In common law, which the Indian judicial system descends from, the idea of magistracy emerged entwined with the idea of citizenship and the rule of law. The magistracy grew to fill the need for an institution to stop arbitrarily curtailment of citizen freedoms via detention. The phrase “Except by the lawful judgment of his equals or by the law of the land” deserves special attention. Whatever legal trickery the prosecution may employ, condemning someone to serve time in jail as an undertrial cannot qualify as “a lawful judgment”, can it? And, yet here rests India, and its majestic Magistracy, ensuring that 68% of all its inmates lodged in jails are under-trials,as per the latest data released by the Republic’s official crime records keeper, the National Crime Records Bureau (NCRB). Before we turn to consider the horrendous implications of this statistics, lets dwell on the related raw numbers some more. The total inmates in Indian jails, as on 31 December 2014, were 4,18,536. Of these, only 1,31,517 (31.4%) were convicts. The remaining 2,82,879 (67.6% of total jail inmates) were under-trials. And of these under-trials,over 40% are jailed for more than six months and 65% for more than three months before being granted bail. And, this disturbing reality has been trending! Records show the percentage of under-trial prisoners languishing in jail for over three months has risen from 62.1% in 2013 to 65.2% in 2014. In 2014, around 34.8% of under-trials were detained for up to 3 months, while 3,540 of them (1.3 %) were made to rot in jails for more than 5 years. But that’s not all. A total of 13,95,121 under-trials were released in 2014, i.e. after being acquitted or after having already served, as under-trials, the sentence awarded to them. In other words, a huge number of under-trials serve the maximum sentence possible for their alleged crimes, irrespective of being found guilt or not guilty by the court’s final judgment. So, the gargantuan backlog and its implications is not the only farcical nightmare in statistics inhabited by the Indian Magistracy. The rank injustice meted to citizens in this under-trial injustice system rubbishes the most basic rights of all people who reside in the Republic. Justice delayed is justice denied may be an active rule of law maxim in the rest of the world; in the world’s largest democracy,it is not even a hollow mantra; it is the darkest of humour. And while splashing in this well of black humor, let us peer out and consider the words of eminent Jurists and legal theorists A.V. Dicey and William Blackstone. "The right to personal liberty as understood in England means in substance a person's right not to be subjected to imprisonment, arrest, or other physical coercion in any manner that does not admit of legal justification. That anybody should suffer physical restraint is in England prima facie illegal and can be justified (speaking in very general terms) on two grounds only, that is to say, either because the prisoner or person suffering restraint is accused of some offence and must be brought before the courts to stand his trial, or because he has been duly convicted of some offence and must suffer punishment for it". “All presumptive evidence of felony should be admitted cautiously; for the law holds it better that ten guilty persons escape, than that one innocent party suffer”. Emotions aside, what do these words evoke? They offer a clear understanding that our Magistrates, who trace their legal lineage from the common law heritage of Dicey and Blackstone, are jailing citizens by rote without even assessing the legality or illegality of the arrest. They are overseeing tremendous injustice by not fulfilling the most basic responsibility, the responsibility for which their gowns and tie-wigs are respected. Like automatons they keep jailing those devoid of political and economic power as ours jails get more and more overcrowded with more and more and under-trials sent on judicial remand, and with these under-trials then often being housed along with hardened criminals, punished and condemned without their guilt ascertained or the legality of their arrest questioned. But, leave aside wise white men in England, our Magistracy just loves ignoring the Guidelines and Judgments of our own Supreme Court as well. In its Guidelines, our apex Court encourages bail, not jail, for all but the most hardened criminals. The Indian Supreme Court offers adjudication on bail pleas in two broad categories: first, in alleged crimes carrying a maximum sentence of 7 years or less, where it has mostly encouraged bail over detention; second, in alleged crimes carrying a sentence of over 7 years and extendable up to life imprisonment and death sentence, where it has again allowed for bail, save for two clearly conditions, stated in Section 437 in The Code of Criminal Procedure, 1973.
b) if such offence is a cognizable offence and the accused have been previously convicted of an offence punishable with death, imprisonment for life, or imprisonment for seven years or more, or they have been previously convicted on two or more occasions of a non-bailable and cognizable offence. But what Dicey, Blackstone, Supreme Court Guidelines, or Criminal Procedure Code ever came in the way of an Indian Magistrate who is expert and deciding on bail or jail on the basis of the power of the person standing before the court. Now, consider the case of the JNU students accused of sedition, a crime in the second category, i.e. one punishable with over seven years in prison. Even a cursory look at the case demonstrates they cannot be denied bail under Section 437. First and foremost, the investigations so far have shown up no evidence to prove the police allegations that the students shouted anti-India slogans, and this is corroborated by the University’s own enquiry. Secondly, even if they did shout anti-India slogans, the Supreme Court of India has repeatedly held that shouting anti-India slogans does not amount to sedition by itself. It can only be considered seditious if it is accompanied by incitement to violence or with engagement in violence. The most notable of these decisions arrived in Balwant Singh and Anr vs. State of Punjab (Criminal Appeal 266 of 1985). A charge of sedition was slapped on the accused in that case for a similar offence, i.e. of shouting slogans against India and shouting Khalistan Zindabaad(Long live Khalistan) and Raj Karega Khalsa (Khalsa will rule now onwards). In this context, clearly, the alleged JNU student sloganeering was not coupled with incitement or violence, and was therefore not seditious. Thirdly, the Delhi Police is yet to find the actual persons who shouted the slogans, and they have interrogated the two students Umar Khalid and Anirban Bhattacharya already. Finally, and bizarrely, in denying bail to the students for this long, till today, the learned judges seem to have failed to take notice of the Delhi High Court granting bail to Kanhaiya Kumar, their co-accused who is the President of the JNU Students Union. If this is the state of affairs in a case under sustained public scrutiny, one can surmise the fate of citizens enmeshed in other cases, especially the poor and marginalised, who often struggle to even get representation, forget about media attention. The only temporary respite from the injustice by rote practised by the Indian magistracy if is the Supreme Court were to take notice and action, hauling up magistrates, who have become inclined to sending citizens to both police and judicial remand without any deliberation. Devising guidelines to record the reasons for denial of bail in detail could be a start. The Court could do this in the way it disallowed blind arrests in alleged crimes carrying a sentence of seven years or less in Arnesh Kumar vs State of Bihar &Anr on (Criminal appeal no. 1277 of 2014). The Order prohibited arrest of the accused in such cases without the arresting authority going through a nine-point checklist, and even then only after a magistrate is satisfied with the investigation officer’s justification for the detention. The Order also instructed the magistrate, in turn, to put on record reasons for the same, and held that failing to do so will invite departmental action and amount to contempt of court for the investigating officer. The Supreme Court of India may do justice a service if it were to issue such a guideline to stop magistrates from denying bail and sending the accused to jail, even after the police remand is over. If this doesn’t work, it is only a radical re-engineering of India’s entire criminal justice system that can change India from a “no bail, jail” republic for the majority, to a jurisdiction that ensures a common citizen justice and freedom by default. And, we can’t leave such an important task to anyone else. We have to rebuild the system we wish to inhabit. Until we do so, we are but doomed so suffer what we have inherited in all its hair-brained whimsy.